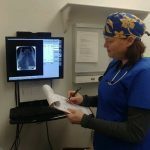 This article is about professional dental care and will hopefully provide an understanding of what happens when your pet is admitted into the hospital for a dental procedure and most importantly why we do it what we do! Just like people, our pets’ teeth ideally should be professionally scaled and polished regularly. This procedure not only cleans off the obvious brown tartar that you can see but more importantly it cleans underneath the gum line. Scaling underneath the gums reduces painful gingivitis (swollen and painful gums) and helps the diseased gums heal, and reduces worsening of gum recession. 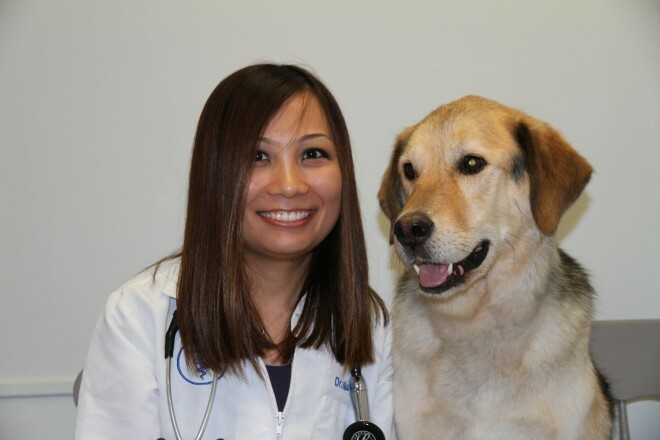 A common question we get is why pets need to be under general anesthesia for dental cleaning. The answer is fairly simple: in order to scale and polish all of their teeth at all angles, especially scaling under the gum line, it is simply impossible to do properly with the pet awake. 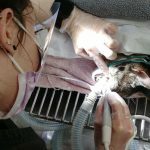 Unlike a person in a dental chair, we cannot reason with the pet as to why they need to keep completely still while we put an instrument in their mouth and perform a procedure for a significant period of time that may be uncomfortable for them. Physical restraint is not an option. Even if it was possible, it would require be extremely stressful for your pet and it still would be unlikely that each tooth could be properly cleaned and graded and scaling under the gum line could be done properly. It is also important that they are intubated (a breathing tube attached to an oxygen/anesthethic machine) so they cannot aspirate any fluid into their lungs during the procedure. It is a common concern that a pet will need many teeth extracted. As much as we would like to always see teeth that only require cleaning, many times we do come across ones that are beyond salvageable. 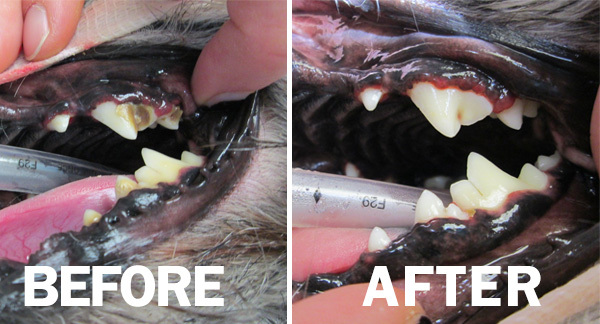 When a tooth is infected and painful, the best option for the pet is to have it removed. Full mouth dental radiographs provide us with important information about the health of each tooth and help us make informed decisions about extractions and other oral surgery needed. Will your pet still be able to eat with some of their teeth gone? The answer is, absolutely. In the wild, their ancestors needed their teeth to tear away meat. In captivity with our kibble and canned food pets really do not even need ANY of their teeth to be able to eat their food. I hope this has answered some of your questions and busted some common myths about our pets’ oral health. If you have any further questions, please feel free to give us a call!